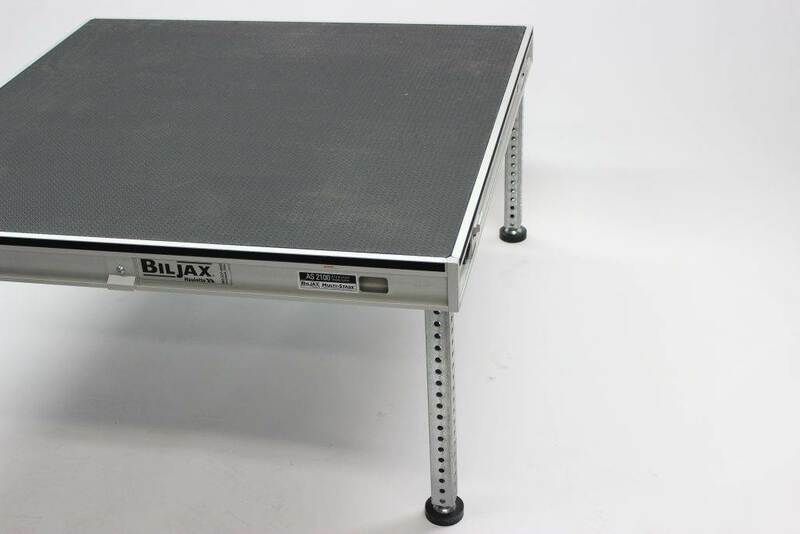 Purchased new in 2016, Photosound’s staging system is a Biljax AS2100 interlocking staging system which is compatible for events indoors and outdoors. 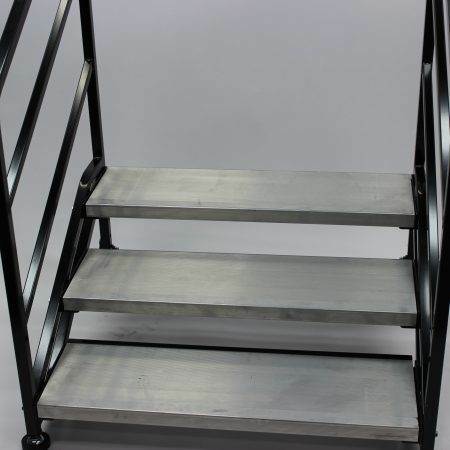 Staging options can run from as small as a single 4′ x 4′ deck, to a 8′ x 16′ stage. Staging can be set at either 1′ or 2′ high and must be set on a level surface (no slopes or hills). Staging must be delivered and set up by Photosound technicians. 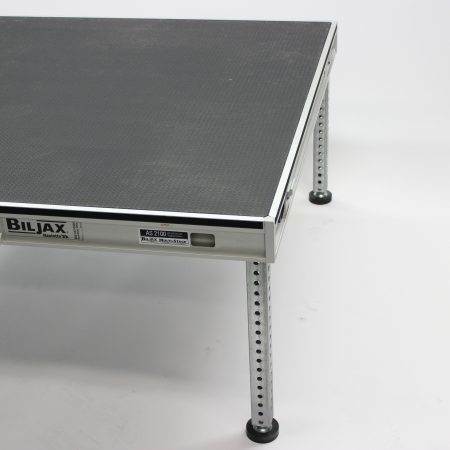 Eight 4′ x 4′ stage sections forming a 16′ x 8′ stage on 2′ high legs. 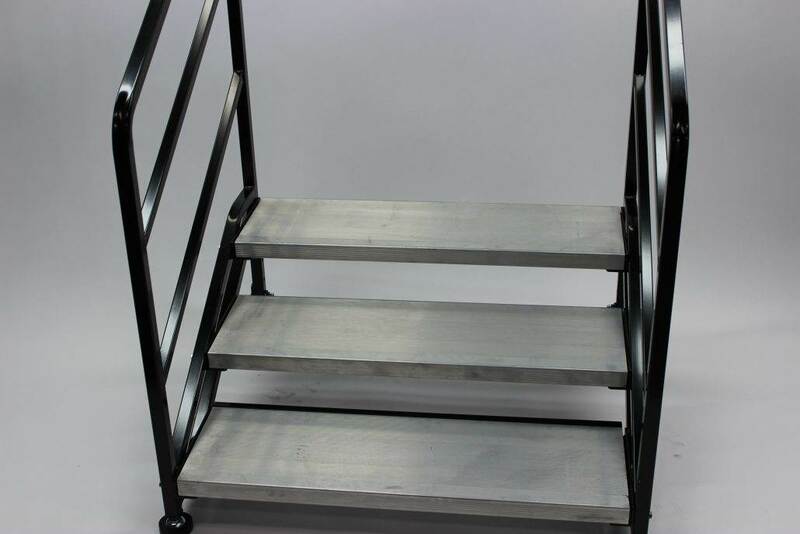 One set of stage steps. Required One Time Tear Down Charge: $120.000 During Business Hours $240.00 After Hours. Required One Time Delivery & Pickup Charge: Depends on location – $55.00 & Up – Call for exact amount. Eight 4′ x 4′ stage sections forming a 16′ x 8′ stage on 1′ high legs.